Industries change and as they do, the liquid products needed to excel in those industries also change. When you need a product that works better than any available in the market, we can develop it for you. Our chemists are experienced in the development of liquid products for all industries and can create a product that meets your exact performance needs. We can also manufacture and package that new product as well as any other existing product and in volumes you can use. We work with you to identify your product needs and then create the product that performs to your satisfaction. With over 50 years experience in product development, we have mastered the science and art of mixing and blending to consistently deliver superior products for use in our clients' various industries. 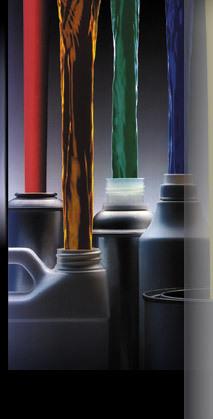 We work with all types of liquids, from acids to bases and we produce a wide range of chemicals including glues, lubricants, paints, and much more. We can even produce powders and pastes. Whatever your product needs may be, we can develop, manufacture, and package them for you.